Building defects still continue to plague the construction industry. The lessons learned over the last forty years have not been fully applied. Many new or refurbished buildings still leak or crack. Lack of awareness by designers and installers as to the main mechanisms that trigger such failures remains a problem for the industry. Investigating and rectifying building failures form a major part of building surveyorsÃ¢ÂÂ bread and butter work. This book provides guidance on this work for typical residential, commercial and industrial buildings Ã¢ÂÂ with advice on how to diagnose a wide range of defectsÃÂ with anÃÂ emphasis onÃÂ evidence based practice throughout. It considers both modern and older construction methods, together with new and traditional materials. The particular problems of alteration and renovation work are also discussed. 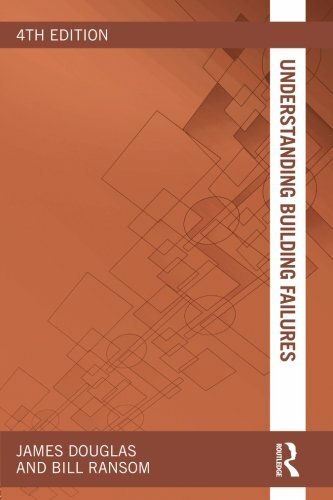 The first four chapters provide information and guidance on the methodology for investigating failures Ã¢ÂÂ how to prepare for and conduct an investigation into a building defect and subsequently diagnose its cause in a logical manner. This fourth edition has been updated and expanded to cover the latest diagnostic procedures and research. It also includes Appendices and a new Bibliography, andÃÂ provides an extensive list of books on building pathology and related topics in the UK and North America.ÃÂ It is essential reading for all students and practitioners interested in building surveying andÃÂ building conservation. About: Building defects still continue to plague the construction industry. About: ThisÂ third edition of Bill Ransom's classic short textbook provides a solid introduction to the study of defects in buildings and, in consequence,Â to good practice in conservation and repair.